Hello and welcome to our monthly round-up for May. What a month May has been. May 2017 has been one of the most devastating months and one that I never ever want to relive. 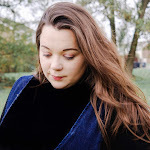 You may or may not have noticed that during the middle of the month I seemed to dropped off in the blogging world. My little family were having the worst month ever imaginable, one that we will never forget. This month saw some good moments where our daughter finally cracked potty training and made the transition into a new big girl bed. We have been enjoying lots of garden fun and making lots of plans for the upcoming summer. The middle part of May saw many awful things thrown our way. One where we had to put our 12 year old beagle, Jakey to sleep. It was absolutely devastating for us all and one that was unexpected. It has been quite tough on our daughter as she is always asking about him and where her 'bestfriend' is hiding. As she is only three and it's unlikely that she will be able to understand what happened to him, we wasn't too sure how to tell her the awful news. In the end we decided to tell her that Jakey had to go away to a special farm with all the animal and fairies, so he could sleep for as long as he wanted and eat as many apples as he could. But to also tell her that he won't be able to come back and see her. I hate that she cries for him, seeing your child so upset is so heart breaking and nothing you can say or do will help them. I think because it's been a little while, she is slowly understanding. It's been absolutely heart-breaking for us all, our home is so strange without him. Then our daughter got hurt, so badly that she needed surgery on her face. As a parent when you see your child hurt, it's the worst feeling in the world. That day will stay with me forever. It was the sheer panic that she got hurt and then the guilt that she got hurt consumed me, it was awful. I feel every time I look at her 'poorly' it's my fault. So many people have assured me that it wasn't my fault, accidents happen. However that guilt I have been feeling has yet to go away. But then she had to have surgery on her face. The night before was hell. I didn't sleep. I just watched her sleep. When we arrived at the hospital my husband and I were so nervous after waiting a little while we made the walk to the theatre and that had to be the longest walk of my life. I was a complete mess when I kissed her goodbye, Daddy went down with her as he felt the need to be strong for us all. When he came back we both cried like we ha never cried before. Those two hours felt like weeks. But you'll be happy to know that she is making a speedy recovery. If anything it has made our family bond stronger than ever and has put our life into perspective and to always, always let the little things go. Life can be so cruel sometimes, it's so important to make sure that we live life to the fullest and that's exactly what we plan on doing. We have even booked a little getaway with my parents in six weeks time, so lots to look forward to. On the blog front, I have been so busy. I had some wonderful opportunities to work with some amazing brands and I can't wait to share them with you. However due to all the things that seem to be happening to us this month, my blog work had to take a back seat. I was so overwhelmed with everything in my life and my brand work. It got too much that I had to tell some brands that I could no longer work on projects together. I couldn't believe how understanding they have been and I feel quite fortunate to being able to work with such amazing brands. But my fellow blogging buddies have also been so supportive and have told me to take time out to be with my family. I guess when your little family goes through tough times it's good to surround yourself with positive and supportive people. So a big thank you to you all. We have been quite busy on the home front. On the first bank holiday weekend my lovely husband got up and decided to decorate our utility room. It was in some serious need of love. Then the next day he wanted to decorate the kitchen. I was a little dubious because sometimes I think my husband likes to changes things in the home for the sake of it, so we are always paining or repainting some room or another. Bless him. He is such a good egg though, because my newly painted kitchen looks amazing. I wasn't too crazy about the colour to start off with as it kind of looked liked fresh plasterboard. But we waited a little while and it really sets it off. I love this segment of the monthly roundup is another way to discover some great posts and other bloggers. So don't forget to have a look at these posts and share them. Sharing is caring and all that! I'm sure that it will be appreciated. So what have you been up to this month? 1 comment on "MONTHLY ROUND-UP | May"
I enjoyed reading your monthly roundup. I understand the feeling of getting overwhelmed with blog work haha! It can easily happen. Thanks for sharing my post. I appreciate it.